Introducing Pinn, the clip-on extension of your mobile phone. No need to retrieve your phone from your purse or backpack. 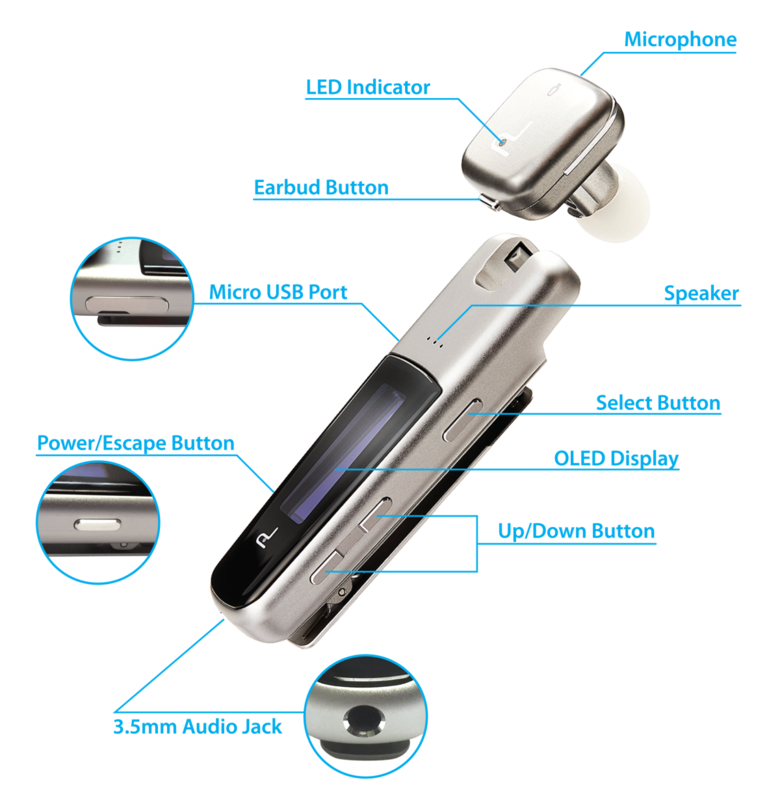 Bluetooth-enabled Pinn clips anywhere and its easy-to-read LED display and powerful combined microphone/earbud keep you always-connected to your mobile phone’s key features. Pinn, with its patented (US Patent # 9807491) technology, combines the key features of your mobile phone and earbuds into a single, go-anywhere clip. Pinn can clip to anything you want: your jacket lapel, purse strap, backpack, wristband, and more. It’s always within easy reach. Know who’s calling and answer instantly. Pinn’s OLED display makes it easy to see who’s calling! To answer the call, simply undock the earbud from the clip and you’re instantly connected to your incoming call! Read incoming text messages with Pinn’s OLED screen and reply using voice activation. Pinn works with you anytime, anywhere. Pinn frees you to do whatever you want while keeping you easily accessible by phone. Whether you’re in an important meeting, running to catch a bus, or riding a bike, Pinn keeps you connected to your mobile phone. Pinn works on Bluetooth-enabled device–mobile phone or tablet–on the iOS and Android platforms. It handles all voice communications: your mobile service, plus Web-based and app-based tools like Facetime, Skype, WhatsApp and more. The Pinn clips to virtually anything, so it can go where you go. You can attach it to your clothing or place it discreetly where only you can see it. Use Pinn as a remote microphone to activate voice commands for personal assistants like Siri and Google Now. You can even use voice commands to dial out or reply to text messages. 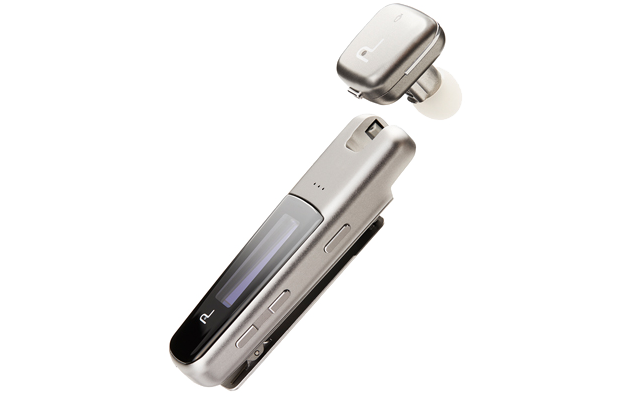 Listen and talk using the Pinn earbud or Clip speakerphone. Wirelessly control and listen to your favorite music streamed from your mobile phone. Even plug in your Bose™ or Beats™ headsets to the Pinn’s 3.5 mm audio jack. Use Pinn as a camera remote to take individual or group selfies. Charge Pinn with a standard Micro USB cable. You can also dock the Pinn Earbud on the Pinn Clip to charge it while traveling. Easily find a misplaced Pinn using the free Pinn app. Pinn also alerts you when you leave your phone behind. Pinn app lets you customize Pinn to suit your preferences, such as changing the alert sound, and notification options. Plus the app will automatically update your Pinn firmware with new features. Want to be the first to hear news about Pinn and other new developments? Just enter your name and email below. Pinn is covered by one or more claims of U.S. Patent No. 9,807,491, other patents pending. Pinn, Inc. was founded in 2015 with a vision to design and develop wearable technology that enhances the smartphone experience and eliminates frustrating phone problems like trying to find your phone quickly to get a call. Our first generation wearable product gives consumers an easier way of using the smartphone by providing a clip device that is light, multi-functional and accessible.